With a collection of more than 80,000 works of art, the Art Gallery of Ontario is among the most distinguished art museums in North America. The transformed AGO is Toronto-born Frank Gehry’s first building in Canada. Highlights include work by Tom Thomson and the Group of Seven, a comprehensive collection of contemporary art and the world’s largest public collection of works by renowned sculptor Henry Moore. Plus enjoy the newly redesigned fun and interactive Hands-On Centre for children and families located in the Weston Family Learning Centre – you’ll find art-making and creative play activities for the whole family. 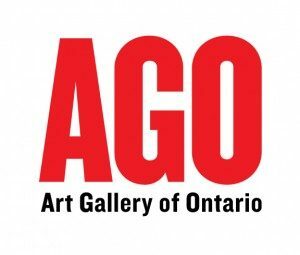 An extraordinary home for extraordinary art, the AGO offers an incredible art experience with each visit. No trip to Toronto is complete without a visit to the Royal Ontario Museum, Canada’s largest museum of world cultures and natural history. Explore stunning galleries of dinosaurs, Canada’s First Peoples, ancient Egypt, minerals and gems, and more. With world-class shopping and dining and breathtaking architecture, the ROM is your gateway to the world. 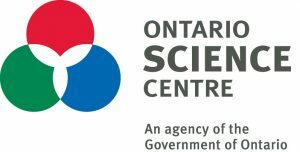 Discover hundreds of interactive exhibits, exciting IMAX® Dome Films and live demonstrations at the Ontario Science Centre! Explore the TELUS Rain Forest, get a charge out of our Van de Graaff generator (your hair will stand on end!) or fly through outer space in Toronto’s only public planetarium. Build your own roller coaster in KidSpark, a unique discovery playground for children under eight, make magnetic fluids dance in the always-evolving Weston Family Innovation Centre or push the limits of the human machine with “bodies-on” activities in our new exhibition hall, The AstraZeneca Human Edge. 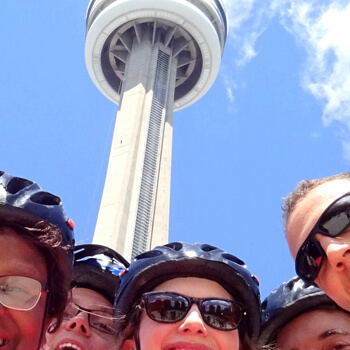 There’s so much for all ages to see and do – click here to learn more! Spread across 65,000 square feet, the Hockey Hall of Fame offers something for everyone. Try your hand at goaltending and shooting against life-sized EA Sports animated versions of today’s top players in the NHLPA Game Time model rink. Call the play-by-play and host your own SportsCentre in the TSN Broadcast Zone. Revel in the world’s finest collection of hockey artifacts. View hockey’s first 3D film and explore the Hall’s newest exhibit ‘The Mask’ featuring a gallery of 90 goalie masks. Second City has been the home of ground-breaking comedy for more than 50 years, launching the careers of entertainment legends such as Bill Murray, John Candy, Andrea Martin, Mike Myers, Colin Mochrie, Tina Fey, Stephen Colbert and a new generation of rising stars. Located in the heart of Toronto’s Entertainment District, our fully-licensed theatre offers a full bar and food menu, with table service available throughout the performance.